Is This the End of the Road for the Cinderella Ducks? Winning the Pac-12 Tournament as a sixth seed was improbable. Upsetting fifth-seeded Wisconsin was spectacular. And advancing to the Sweet 16 was euphoric, given the Ducks’ struggles during the regular season. But all of those achievements pale in comparison to the task that the Ducks have ahead of them. The Virginia Cavaliers have become the gold standard for regular-season dominance, earning trips to the NCAA Tournament in six consecutive seasons and winning 30 or more games in four of those seasons. Coach Tony Bennett’s squad is a brilliantly orchestrated bunch. Year in and year out, the Cavaliers rank near the top in a variety of defensive statistics, and this year is no different. 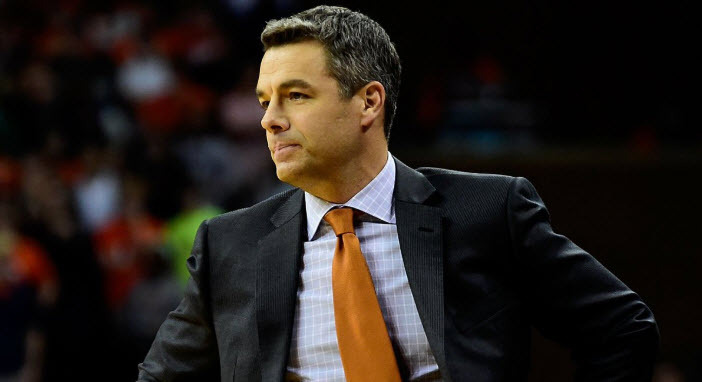 Tony Bennett has Virginia firing on all cylinders. Despite playing in arguably the toughest conference in the country, Virginia boasts the nation’s top-ranked scoring defense. And while highly ranked defenses haven’t yet slowed down the Ducks in their Cinderella run, they haven’t gone up against a unit as seasoned and battle-tested as the Cavaliers’. Of course, there’s the elephant in the room: Virginia infamously made history last year by becoming the first top seed to lose to a 16-seed in the NCAA Tournament. Are the Ducks out of their league against Virginia? Even beyond that, the Cavaliers haven’t nearly come close to matching their regular-season success once they are in the tournament, with only one Elite Eight appearance this decade. But the Ducks aren’t playing the ghost of Cavalier teams past. They’re playing this year’s 31-win squad, which promptly put to rest any rumblings of an early tournament exit by winning both of its matchups by double digits. But the Ducks are on a roll! They’ve won 10 straight games. What makes this obstacle any different? The Ducks are hot, no doubt. But it’s not as if they got to this point strictly because of momentum. They have a good roster with enough talent, athleticism and length to play with most teams in the country. There’s a reason why many weren’t stunned by the Ducks’ upset of Wisconsin or their late-game surge against UC Irvine. Oregon is as talented as the Badgers and physically superior to the Anteaters. Yes, the Ducks are riding a wave of momentum, but they’re winning largely because they’re finally playing up to their potential. That’s what makes this matchup against Virginia so dicey. This is the first time in their 10-game winning streak that the Ducks are facing an opponent with a significant talent advantage. The Ducks could afford to struggle early against the Badgers, and have a second-half cold spell against UC Irvine. The playing field was close to even in those games. That won’t be the case tomorrow. 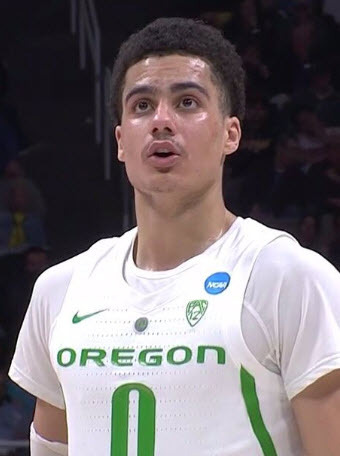 The Cavaliers don’t attract star talent out of high school like other premier programs (in fact, the Ducks have been out-recruiting Virginia as of late), but they develop players at an elite level. Aran Smith’s most recent NBA Draft Big Board has three Cavaliers listed in his top-100 draft prospects versus just one current Duck, Louis King (Bol Bol is listed but suffered a season-ending injury). The Ducks are up against a tall task. In particular, forward DeAndre Hunter is probably the best player that the Ducks have gone up against all season. A 6-foot-7 two-way star who some compare to NBA stalwart Kawhi Leonard, Hunter is a matchup nightmare. And even if the Ducks are able to shut down the likely top-10 NBA Draft pick and ACC defensive player of the year, they’ll have to contend with first-team, all-conference guard Kyle Guy and company. This isn’t to say that the Ducks can’t pull off the upset. But unlike some of their other wins down the stretch, this one may depend more on getting hot from the three-point line and Virginia’s shooters going cold. Crazier things have happened, and with the Ducks playing with nothing to lose, all of the pressure is on the Cavaliers. But is this hurdle too big for Oregon to overcome? 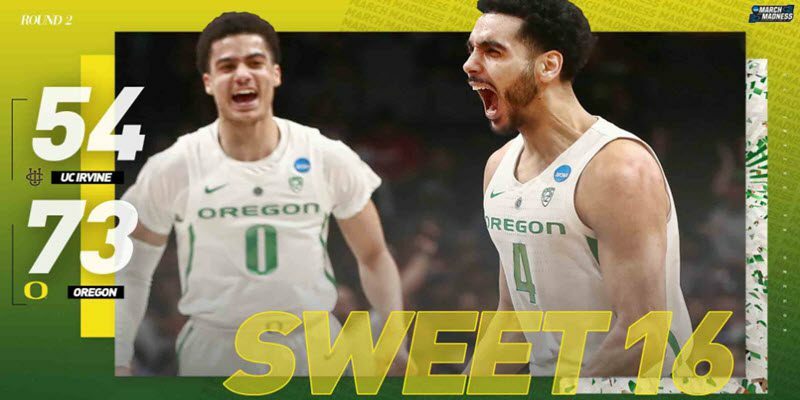 Do you think that the Ducks have a legitimate shot to beat Virginia and advance to the Elite Eight?